The theme of the DP Access motivational calendar for January 2019 is enlightenment, so let us enlighten you about the rapid growth in the IoT world! As an AT&T Platinum Exchange Partner, DP Access enhances and truly helps organization’s management realize the promise of IoT. We assist in the navigation & the intricacies of the industry to quickly build global competitive solutions. With management becoming more enlighten, anchored by AT&T’s highly secure global network, their leading-edge platforms, and innovative ecosystem, we combine flexible solutions to meet IoT needs such as Smart Views™. New predictions by DXC Technology (NYSE: DXC), one of the world’s leading independent end-to-end IT services companies, stated six predictions in their News Release on November 15, 2018. These six predictions will assist industry leaders recommending for Information Technology designs in assisting organization’s future in their driving of digital strategies for 2019. Business transformations are accelerating as companies are making changes in their organization’s digital strategies. These changes are gaining in speed for operational efficiencies, inventing new markets, redesigning new customer experiences and achieving savings by reinvesting in funds for their digital future. Industry leaders and management should examine how the following trends will shape the future digital journey of their organizations by learning and executing faster trends for 2019. Organizational management will make more aligned decisions, invest for the execution of accelerating digital business. We should expect to see new business models and technology built changes from digital rather than less traditional business models. A unified digital strategy between the business and the information technology is the best ways to unload heavy labor costs and improve a company’s technology. In addition, it is the best way to unload the compounding technical debt that is holding companies back from better competing using new digital initiatives. It is about focusing, accelerating digital transformation, and having the stamina to succeed against global competition. Adopting the next generation of IoT platforms creates a map of the organization’s physical world to an intelligent rich digital one, smart things become a driving force for implementing the next generation platforms in 2019. 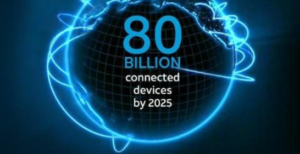 AT&T is a recent article is predicting over 80 billion products by 2025 in IoT. These advances will enable large of industry specific data from the Internet of Things (IoT) to be properly analyzed by uncovering hyper dimensional correlations providing fresh new insights, and enhancing decision making for better business outcomes. Actions at the edge disrupts the cloud, the IT industry continues to build out what is considered the matrix. A pervasive intelligent infrastructure that goes beyond cloud technology including edge computing, IoT platforms, machine intelligence, augmented or virtually reality, block chain type or more. Building a completely new ways to leverage the matrix, this would include decentralizing applications (DApps), and shifting power from a small number of centralized players to a large number of participants could make a more economical infrastructure. This would make for a shift toward event-driven applications and server-less architectures allowing a very small and targeted application in running a lightweight environment such as a pocket or wrist device. Enterprises enter the age information enlightenment by leveraging information becoming a core competency in 2019. Organizations experience information enlightenment will realize that artificial intelligence and machine learning can improve service offerings and generate new sources of revenue but only with the right algorithms, model orchestration, data, and infrastructure. By redesigning customer experiences stronger data privacy rules will protect customers’ personal data will force organizations to rethink their digital strategy as the full effects of the General Data Protection Regulation (GDPR) will set in and management will need to create privacy-centric information ecosystems, with analytics and security as the foundation to provide superior customer experiences. Organization should begin closing their data centers because they are costly and are becoming less relevant as the data being received through processing rather and the cloud.This trend according to experts will begin over the next three to five years because cloud migration will give way to replacements. 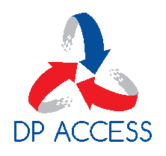 DP Access is building partnerships by reducing expertise costs from single source organizations. Specialization is the key to future technology changes and building more relationships with expert organizations reduces costs, positions organizations better for competitive strategies against global competition of the future.